European release one month after North America. Lost Dimension will launch for PlayStation 3 and PS Vita as physical and digital releases in Europe on August 28, NIS America announced. The game was previously dated for release in North America on July 28. Get the full rundown below. To subdue the threat The End poses to the entire planet, several countries create a special forces group called S.E.A.L.E.D., which is comprised of eleven psychics with superhuman abilities. Each soldier has their own talents and skillsets to use in combat, which can be expanded after gaining enough experience in the field. Bonds of friendship will form amongst the members of S.E.A.L.E.D., but be mindful of which allies to keep close, as The End mandates the player must begin eliminating teammates. Make sure to accuse the right teammate of being a traitor though – once the final battle with The End begins any remaining traitors will fight the main character alongside him. 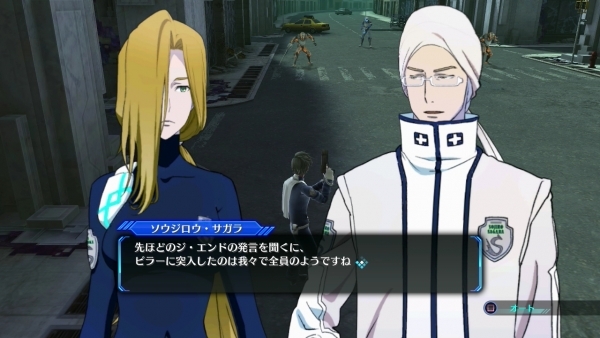 Spoiler-Free Zone – In addition to a variety of game mechanics to help assess teammate loyalty, Lost Dimension’s traitor system is randomly determined, assuring that no two players will be faced with the same playthrough. Sorry, kiddies, but it’s impossible to look up the answers this time around. to do is steal everyone else’s powers!